The chief executive of UK utility EDF Energy Vincent de Rivaz has broken ranks from the rest of the ‘Big Six’ by extolling the virtues of a possible Competition Commission inquiry into an industry under attack from politicians, regulators and consumers alike. 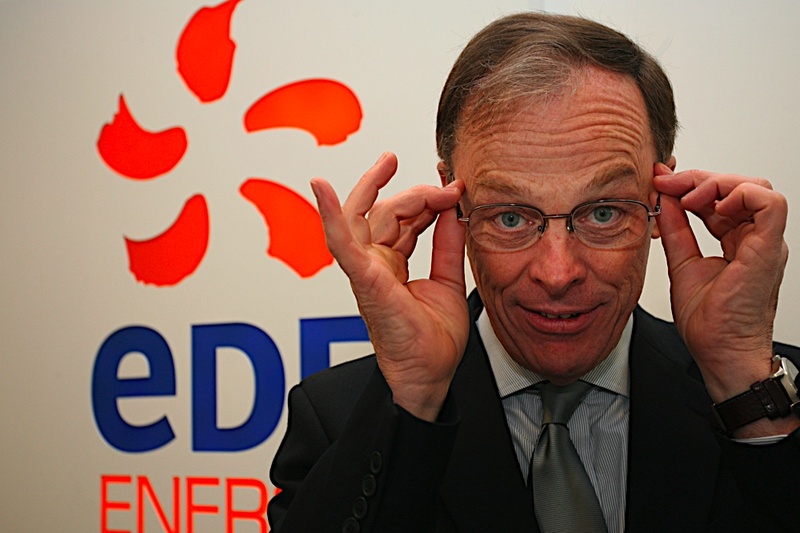 Announcing the decision by the UK subsidiary of France’s state-owned utility EDF to increase electricity and gas charges by 4.5 and 15.4 per cent respectively, de Rivaz acknowledged the British public’s lack of faith in a liberalized energy market whose participants continue to clobber them with hefty price rises at regular intervals. “We recognize there remains a widespread lack of understanding and suspicion of the industry as a whole, among the public, customers in general, politicians, regulators and others,” The Guardian quoted de Rivaz. “It is important this perception is addressed. The energy challenges Britain faces are far too important and can only be addressed in a world with trust, open dialogue and mutual understanding. “If a Competition Commission inquiry is necessary to build this trust, then it is a step that should be taken. We would welcome the opportunity to explore all the issues fully and openly. As a fair company, we have nothing to hide,” he added. Coming just short of demanding a formal investigation by the Competition Commission into the energy industry is not a common refrain among chief executives of the Big Six utilities. Centrica’s Sam Laidlaw said in July that any inquiry would probably be a “three-year” exercise “during which there’s no investment made in smart meters, the Green Deal doesn’t happen and we’re in a state of paralysis”, according to the Financial Times. Yet this is a common sense decision by de Rivaz. Whatever the reality, Mr and Mrs John Bull believe they are being fleeced by Jean-Claude Le Rip-Off. That’s as maybe. What EDF wants to do, very sensibly, is explain why bills are rising, i.e. in order to pay for offshore wind farms, CCGTs, nuclear power plants and all the other sources of generation capacity the UK needs to renew its aged fleet. There is significant danger for EDF, E.ON, RWE npower, Scottish & Southern Energy, Scottish Power and Centrica (British Gas) in an independent Competition Commission inquiry. In theory it could end with the vertically-integrated Big Six being forced to break themselves up if their rather oligopolistic nature is deemed to be a cartel obstructive to new entrants in both generation and supply. This seems unlikely. The Big Six are very fond of their retail businesses as it gives them a route to market for their power generation, not to mention handsome profits, and they will fight tooth and nail to keep them. At the same time, the UK is reliant on these very companies to build new plant and prevent the lights ‘going out’, as is repeated ad nauseam. Regulatory uncertainty does nothing to assure investors. And so what if the Big Six reek of being in a cartel? Who else has the clout to build nuclear plants, for example? This is a job for Ofgem! The real issue with the energy sector is not for the Competition Commission but market regulator Ofgem, which is digging ever deeper into the murky world of the energy sector. Last month it appointed forensic accountants BDO to investigate whether or not the utilities understate their retail profits in order to defend price hikes and whether the oft-repeated excuse of rising wholesale prices justifies increased retail prices. BDO will look at trading profits, wholesale prices and how the energy firms hedge against price fluctuations by trading energy futures to find out if the utilities’ hundreds of millions of pounds of profits come from consumers or, erm, not. The plain truth is utility bills will continue to rise for a very, very long time due to rising demand for fossil fuels across the world in tandem with domestic levies on bills to fund low-carbon power generation, network upgrades, smart meters, home insulation, carbon taxes and other policy measures. It is time the utilities stop taking their customers for fools and spell it out, as Mr de Rivaz suggests. If not, public support for expensive offshore wind farms and nuclear plants, which will need a great deal of subsidy/supporting measures, will collapse as bills rise ever higher. Posted in Nuclear, Policy & Regulation, WindTagged Big Six, Competition Commission, EDF, Ofgem, Vincent de RivazBookmark the permalink. finally paid off? The Nuclear deals and fracking jobs?